Harare - The three day stayaway could have cost the economy around $300 million in revenue, industrialists have said. Rioters damaged property, while other people are reported to have been shot security forces. Confederation of Zimbabwe Industries (CZI) president Sifelani Jabangwe, said companies and individuals who lost their properties could be in financial challenges since insurance firms do not compensate anything destroyed during riots. “The only way we can measure the loss is through GPD. We record about $100 million per day and given that some companies operated on skeletal staff in the last three days. “The economy lost could be between $70 million and $100 million per day,” Jabangwe told the Herald. 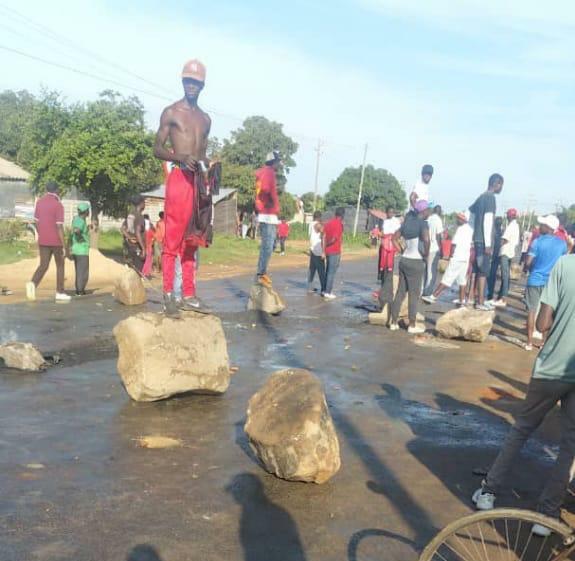 Jabangwe said CZI members lost substantial business as some that had gone to work on Monday, could not deliver the goods to the market because roads were blocked. There are also cases of perishables that went bad as the markets were closed. “The strike has significantly affected our members in terms of production and sales. We are also concerned about the loss of life that we hear, which is unfortunate. These are economically active that we lost. “We think in as much as it is their right to protest as indicated in the national constitution, the protesters should also not infringe on other people’s rights because right now, we have cases of property destroyed and what is worse is that insurance companies don’t cover damages arising from riots,” said Jabangwe. He said while one of the demonstrators’ grievances was an improvement in the economy, they need to be reminded that it would not happen overnight, and the violence of the last three days can only worsen the situation. “Solutions to the economic challenges will not be easy and we believe that the general conduct of demonstrators may cost the nation in a big way. “You see, the investors we want will not come because they will say ‘Zimbabwe is not a safe investor destination’. The economic challenges will not be solved by burning down property. “It is easy to blame Government for the economic challenges but we are also to blame as citizens due to our actions,” said Mr Jabangwe. Hoteliers reported massive cancellations as tourists feared they would be caught in the crossfire. Some countries such as the United States of America, issued travel warnings to their citizens, and consequently resulted in withdrawals by tourists. Impressive tourist numbers are usually central to the good performance of the sector by year end. Going forward, Jabangwe called for “dialogue at the TNF (Tripartite Negotiating Forum) level and drive the economic development agenda”. On Monday business lamented the three-day shut-down was counterproductive. They said such actions were tantamount to massive loss of production at a time Zimbabwe is making frantic efforts to rebuild the economy. “Such violence is costing companies through vandalism, pilferage, lost hours in productivity, skills flight as some professionals cannot cope with such situations,” said Zimbabwe National Chamber of Commerce (ZNCC) chief executive Takunda Mugaga. “As private sector, we continue to engage Government. Such strikes are causing retail sector to lose on average $5 million in sales, daily,” he said adding violence was no way of resolving issues but engagement and social contract to be signed by all parties. Retail shops and businesses in Harare’s Central Business District were closed for three days. National Business Council of Zimbabwe (NBCZ) president Langton Mabhanga said calling for industrial actions and violence to resolve economic challenges was irresponsible. He said building the economy was not a responsibility for Government alone, but all stakeholders which called for responsible actions. “What we are doing now is not going to help the economy. The more Zimbabweans do these things (violent protests) the more we miss,” said Mabhanga by telephone. “This will only knock down production, which is not good for the economy. After all, this is not the way to make Government accountable, they are not the only ones responsible for building the economy. “Government’s role is to create policy that enables businesses growth, to facilitate and support the economic environment,” he said.